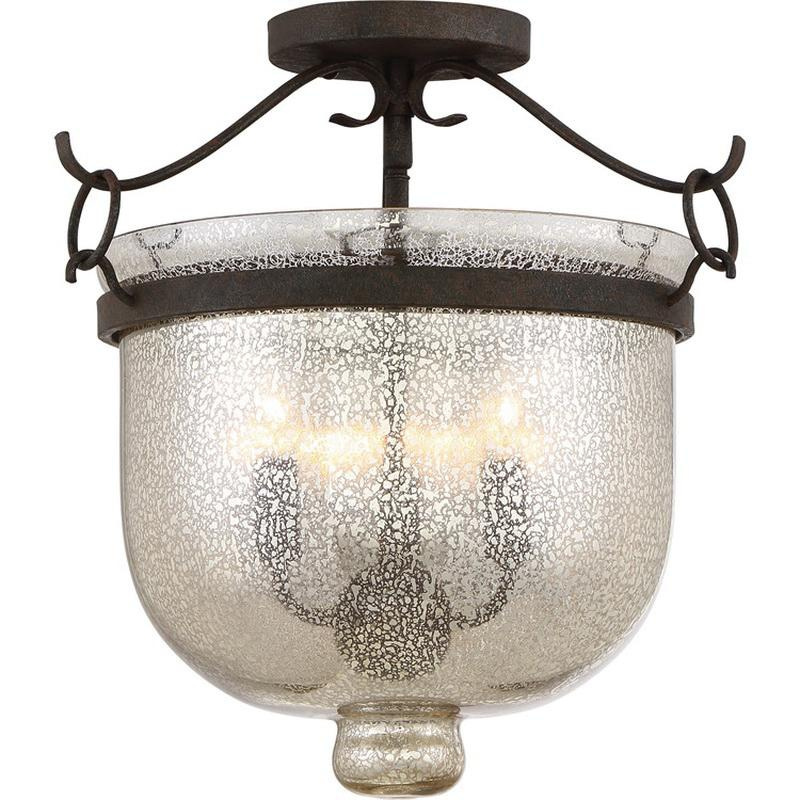 Quoizel Lighting Burgess Collection 3-Light ceiling fixture in black finish, features high-strength steel construction. Mercury glass measuring 10.5-Inch x 12-Inch x 12-Inch, offers even light distribution. This fixture supports three 60-Watt incandescent lamps that have voltage rating of 120-Volts. Fixture measures 15-Inch x 15-Inch x 15.5-Inch. This semi-flush mountable fixture comes with 5-Inch base backplate and 6-Inch lead wire for hassle-free installation. It is ideal for bedroom, foyer and hallway. Fixture is ETL listed for damp locations.